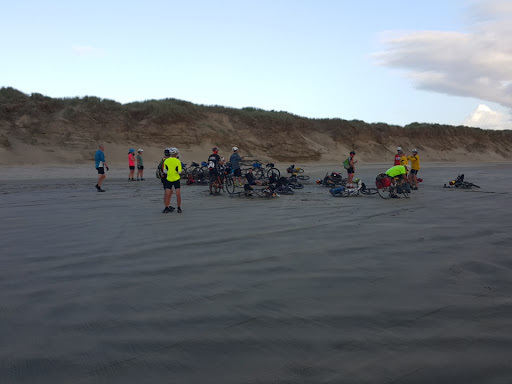 Random Ramblings about playing in the outdoors of New Zealand on my bicycle(s) and in my tramping boots. Only 105km today, somewhat below my hundred mile a day intent by with a 2pm start, nothing wrong with polishing off a metric ton in an afternoon. Forget the comments on the stuff Comme threads. Cyclists are good sorts and it has been great to ride with riders from all over the globe. The takeaways stayed open late for us smelly cyclists (thankyou). This meant the day at the beach was finished appropriately with fish and chips before heading to the campground in Ahipara for a shower and kip. Day -1: Tour Aotearoa - Kaitaia closed on Monday's? Driving is never as much fun as cycling. So not to say, this is a test post - been a while since my last blog post and seeking better way to update on the move. A huge thanks to Dad for driving me up today and to the Orana Motor Lodge for having a good in-house restaurant. The night before and Kaitaia is pretty much closed. May the pie warmers that await be full with tasty morsels. * 2×Roast shops all shut up. * Maccas and KFC ma be open but that does not constitute a town being "open". 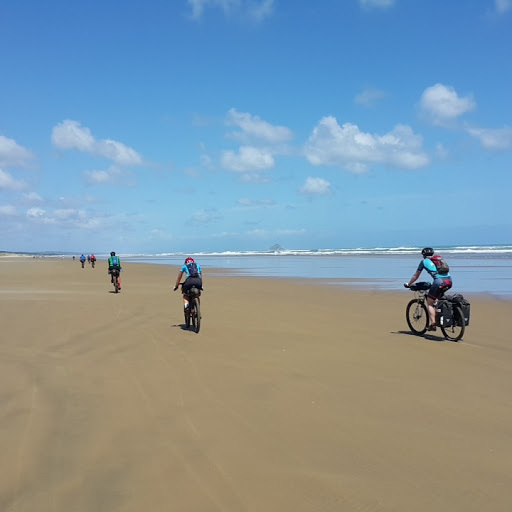 Cycling the length of my own country "has to be done", because I am long distance cyclist. 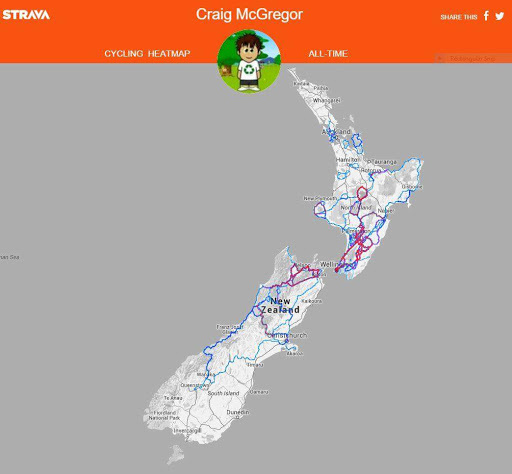 Here is my Strava "heatmap" for rides in New Zealand before the start of the tour. Success on the tour will add lines to many new places that I have not ridden before. Bleak day at Packhorse Hut - Honora had been away for two weeks. We both had our own reasons to go for a walk to Packhorse Hut in the bleakest weather of the winter. Adelaide tarn – Yuletide Peak – Anatoki – Dragons Teeth - Thanks Alex for a great trip!